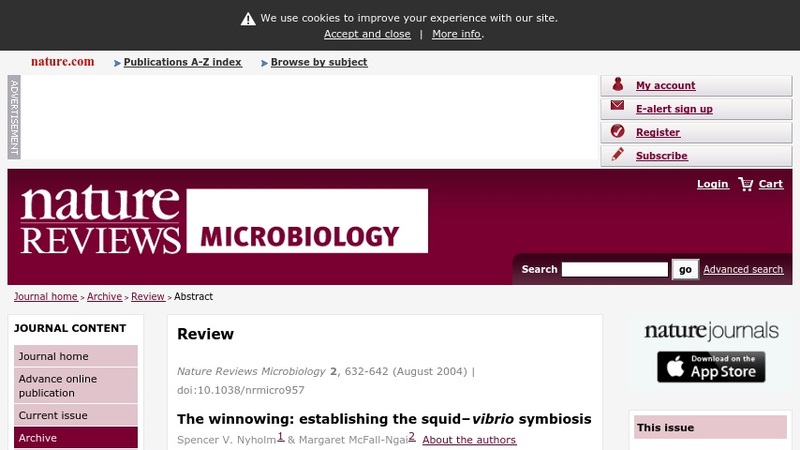 This Nature Reviews Microbiology article examines the symbiosis between the squid Euprymna scolopes and its luminous bacterial symbiont, Vibrio fischeri. Using image-rich illustrations, it depicts the progression of light-organ colonization as a series of steps and discusses the advent of genomic approaches used to study this model system. A subscription is required to access the full-text version of this article.